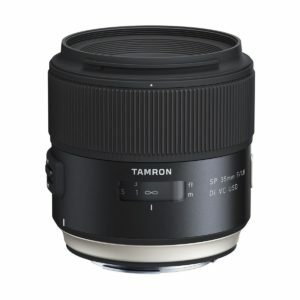 The Tamron SP 35mm F/1.8 Di VC USD is s wide angle fast prime lens for full frame digital SLR cameras. The lens can also be mounted to compatible APS cameras, but will yield the same field of view as a 50mm lens mounted on a full frame body. In other words, a near “normal” field of view for APS-C cameras. Tamron builds this lens in versions with a Canon mount and a Nikon mount. Note that the selves are not interchangeable between Canon and Nikon. You need to purchase the correct model for your system. The lens features a fast f/1.8 maximum aperture, is weather sealed and also has image stabilization. Additionally the lens includes a dedicated lens hood as well. Image quality is very good from wide open and improves as you stop down to around f/8. Diffraction starts to set in at f/8 and gets progressively worse until the maximum aperture of f/16. Note that diffraction is not a lens flaw, but rather physics. The Tamron SP 35mm F/1.8 Di VC USD is built like a tank. It feels very solid and is weather sealed agains light rain, snow and mist. Of course weather sealing is only a benefit if your camera body is also weather sealed. The Tamron SP 35mm F/1.8 Di VC USD is an excellent lens. It offers great image quality, tank-like build, weather sealing, image stabilization and a fast f/1.8 maximum aperture. If you are looking for a fast wide prime for your full frame or standard equivalent fast prime lens for your APS-C digital SLR then you should take a very serious look at this lens. The Tamron SP 35mm F/1.8 Di VC USD is often compared agains the Canon, Nikon and Sigma equivalents, and I honestly feel the Tamron is the best of all of them. While the Sigma is generally accept d to have th best image quality of the bunch, it does not have image stabilization nor does it offer the weatherproof construction. The Nikon version does not have the build quality nor the image stabilization. 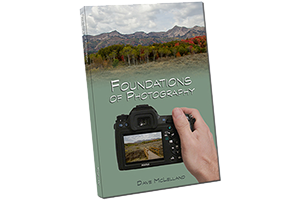 The Canon version does have image stabilization, but you give up 1/3 stop (f/2 max aperture) and it does not have the excellent image quality. The best part is the price. The Tamron is not outrageously priced, especially when compared to the competition. It is about the same price as the Canon, a little bit more than the Nikon but significantly less than the Sigma. based on 100 user reviews online.